Hannah Nihill scored 11 points in Drexel’s CAA quarterfinals win over UNC Wilmington on Thursday. 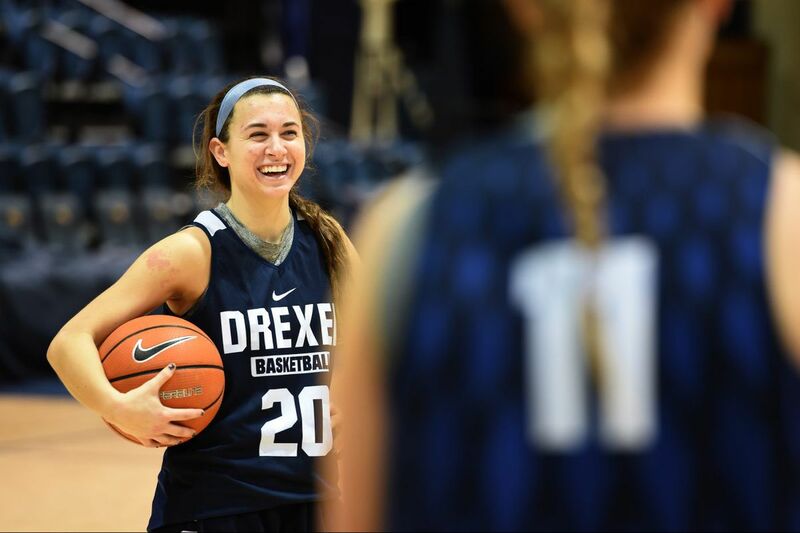 The Dragons jumped out to a 14-point lead and never looked back, routing the Seahawks, 71-41, in the quarterfinal round of the Colonial Athletic Association Championship. Kelsi Lidge led Drexel with a game-high 18 points. The senior forward grabbed six rebounds and shot 7-for-13 from the field, going 4-for-9 from three-point range. Sara Woods and Hannah Nihill added 11 points each. Lacey Suggs recorded 14 points and four assists for UNC Wilmington, and Paige Powell put up 10 points. Drexel (25-6), the tournament's top seed, will face No. 5 Delaware (19-11) Friday at 3 p.m. in the semifinals. The Blue Hens defeated No. 4 Northeastern, 61-50, in their quarterfinal matchup.